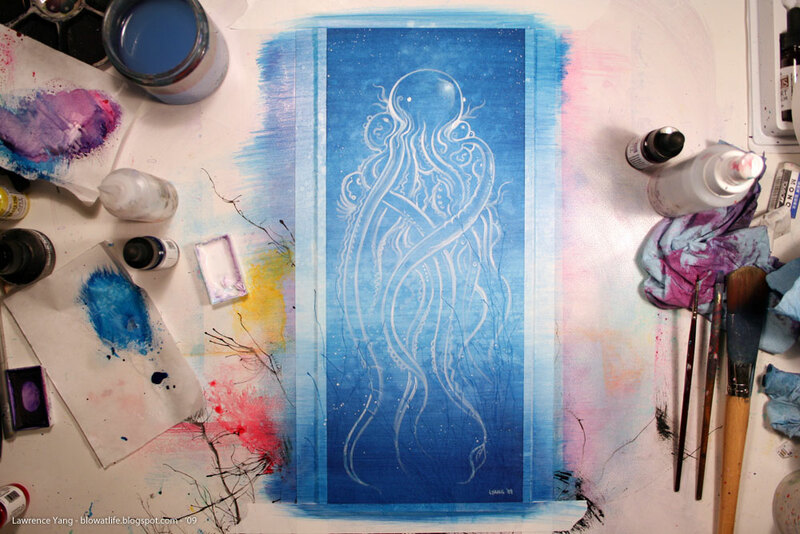 A blue cephalopod. 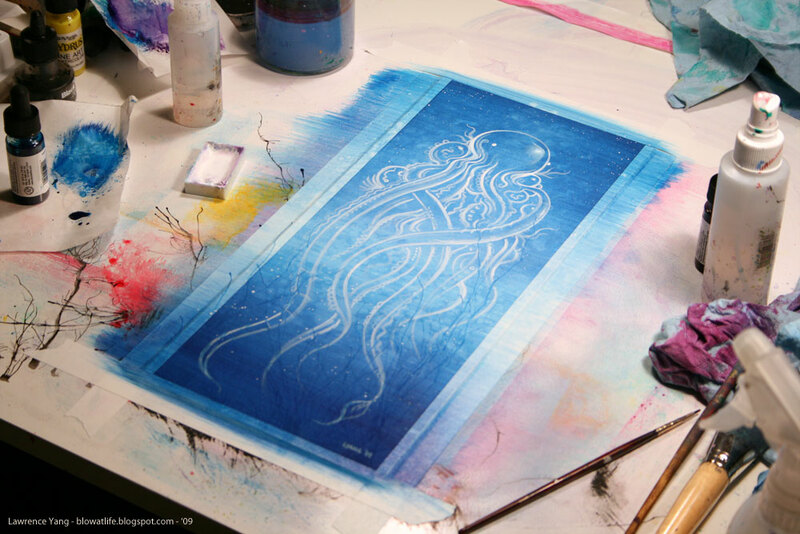 Or a clear cephalopod on a blue background. Take your pick.